One can of “hearts of palms” has 50 calories. 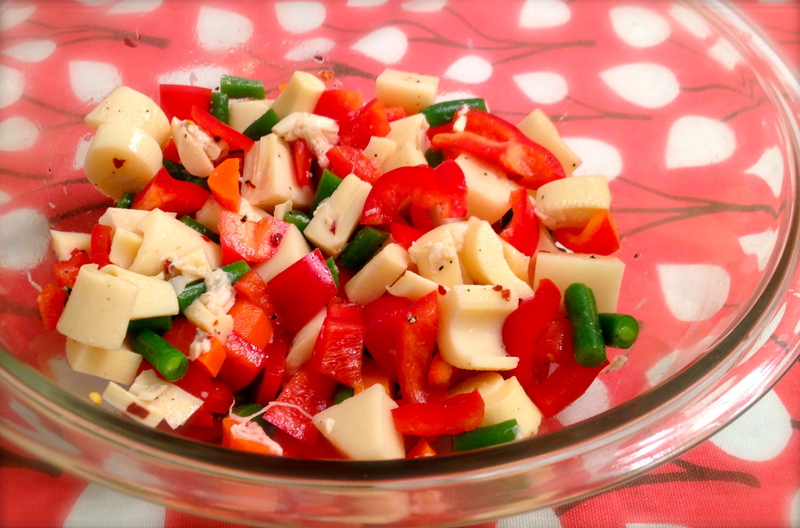 The other ingredients are low in calories and carbohydrates, but, together they make a very hearty salad. Blanching the carrots and green beans ensures they will be super crunchy. Dressed with some red wine vinegar, sesame oil, lime juice and salt and pepper to taste, you can utilize this all week. The finer the chop, the more you can dip/salsaish you can go, the bigger the chop the more you can use it as a base for other toppings. I’ll be using it tomorrow over a bed of romaine lettuce and topped with 4 ounces of leftover chicken.